On the Day of Trumpets, the 7th angel will sound the 7th trumpet. This blast of the last trumpet will usher in the Great and Terrible Day of the LORD. In the days when the seventh angel is about to sound his trumpet, the mystery of God will be accomplished. 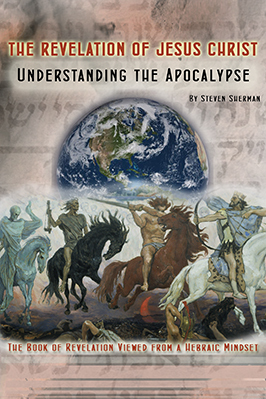 What is a biblical mystery and what will be accomplished at the last trumpet? 1) The church as the body of Christ (Ephesians 3:1-11, 6:19; Colossians 4:3). 2) The church as the bride of Christ (Ephesians 5:28-32). (1Corinthians 15:51-52; 1Thessalonians 4:14, 17). 4) The mystery of lawlessness (2Thessalonians 2:7; Matthew 13:33). The full number of Gentiles will have come into the Body of Christ. The dead in Christ will rise first and those who are alive will be translated in the twinkling of an eye. The rapture will occur as lawlessness will be at its full. The whole unsaved world will be worshipping the image of the beast. The bride will be taken up to heaven for judgment as to reward and for the wedding feast of the Lamb. Israel’s spiritual blindness will be removed. All of these mysteries will be accomplished at the same time on the “Great and Terrible Day of the LORD”. The earth will be full of violence, as in the days of Noah, and promiscuity, as in the days of Sodom when Christ returns for his church. Noah and his family entered the ark 7 days prior to the flood. During that week, 7 pairs of clean animals and 1 pair of unclean animals entered the opened ark. Peter’s vision of four-footed animals, as well as reptiles of the earth and birds of the air did not concern itself with the laws of uncleanliness in regards to food. It was a symbolic picture of the Gentiles (Daniel’s visions of beasts represented nations). Peter was to take the gospel to Cornelius. The spiritual picture of Noah’s Ark is one where the nations are entering into the Body of Christ. Pairs of all creatures that had the breath of life in them entered into the ark. The ark was opened for 7 days (Daniel’s 70th Week) as those who are born-again by the Holy Spirit come into the Body of Christ. At the end of the 7 days (the 7 years of the Tribulation), just prior to the pouring out of God’s wrath (7 bowls/final plagues), the door is shut (the rapture of the church). By the 27th day of the 2nd month (Noah’s 601st year), God commanded them to come out. They were in the ark 1 year and 10 days until they were commanded to leave. 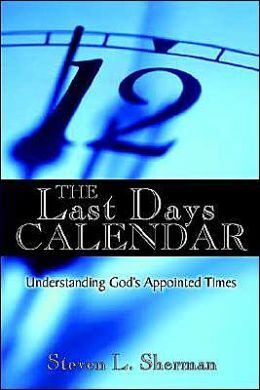 There is a ten day period between the Feast of Trumpets and the Day of Atonement. The Jubilee occurs on the 50th year (7×7+1 year). On the Day of Atonement, the year following 7 Sabbatical years begins the Jubilee year. The 7th trumpet is sounded at the New Moon on the 7th month (Rosh HaShana/The Feast of Trumpets). In the third month after the Israelites left Egypt-on the very day-they came to the Desert of Sinai. After they set out from Rephidim, they entered the Desert of Sinai, and Israel camped there in the desert in front of the mountain. All of Israel camped at the base of the mountain. They were to consecrate themselves. On the third day, God would speak to them. Only when the ram’s horn sounds a long blast may they go up the mountain. When the Lord descends with a shout and the trumpet call of God, the dead in Christ shall rise first. The base of the mountain symbolizes the earth, while the top of the mountain symbolizes heaven – the dwelling place of God. The giving of the Law was accompanied by thunder, lightning, smoke, trumpet blast and earthquakes. These awesome displays of God’s power and divine presence are paralleled in manifestations that occur prior to the Rapture. When Moses went up on the mountain, the cloud covered it, and the glory of the LORD settled on Mount Sinai. For six days the cloud covered the mountain, and on the seventh day the LORD called to Moses from within the cloud. On the 7th day Moses went up into the glory cloud. There were 3 days and 7 days. Ten days passed between the arrival at Mt. Sinai and Moses going up to be in the presence of God. Jesus appeared in resurrection power and was seen over a period of 40 days. He ascended into heaven. The Holy Spirit came down in power on Pentecost (50 days after the resurrection). There was a period of 10 days between Jesus going up to heaven and the Holy Spirit coming down to indwell the church. Ten days elapsed between the arrival at Mt. Sinai and Moses ascending the mountain. Ten days elapsed between the Ascension and Pentecost. Ten days of introspection and soul search called the Days of Awe elapse between Rosh HaShana and Yom Kippur. David marries Abigail ten days after Nabol is stricken (a picture the outpouring of God’s wrath and the Wedding of the Lamb). Ten days (3+7) elapse between Jacob fleeing Laban (Babylon) and their meeting in Gilead (The Promised Land). The Rapture of the church at the 7th Trumpet will allow for three days of consecration (works passing through the fire) and a seven day wedding feast (traditional in Judaism).